Introducing our newest member of the family, Atticus Nolan Kai. Came 3 days early in a screaming mad rush this morning. Mild drama. Also, all those assurances that Boy Blob is “average size” might have been a tad conservative, since he’s a bonny 9-pound+ bundle of deliciousness. 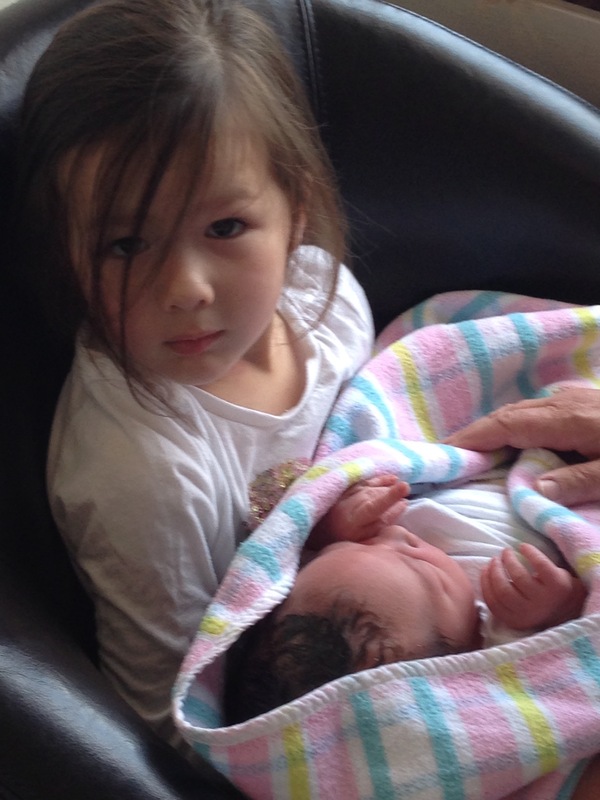 More details to follow but for now, Arddun has taken to calling her new brother “Boy”, and referring to him as HER baby. We are delighted. We are tired. Talk more soon. I’m impressed with your ability to update us so quickly! Congratulations — he is adorable.